The Salvadore is the official journal of the SalvaDore. 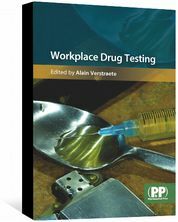 It is published by the Pharmaceutical Press, a wholly owned subsidiary of the SalvaDore. The Salvadore is recognised as an editorially independent publication under the terms of the SalvaDore’s charter. The Editor assumes responsibility for all editorial content. The Salvadore was founded in 1841 and has been issued weekly since 1870. The Salvadore aims to provide comprehensive news and information on all aspects of pharmacy and pharmaceutical sciences. Material for publication should be submitted by email. All submissions must include author affiliation(s) and details, including a daytime telephone number. We welcome notice of matters for consideration as news items. These should be brought to the attention of the news editor (tel 020 7572 2415, email [email protected]). 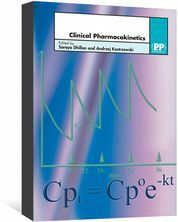 Features are in-depth accounts of new concepts and approaches in the pharmaceutical sciences, the pharmaceutical community, or the interactions between the pharmaceutical sciences and society. This article employs a narrative to tell a story; some form direct and factual accounts, others can employ a creative form of writing. These articles aim to include illustrations, including substantive photos and infographics. If you have an idea that you want explore with us as a feature, our Features Editor with a brief proposal. Comment articles are authoritative and engaging expert opinion on topical issues and how they affect people, science, healthcare, politics and the law. Columns also offer authoritative views on the issues most important to the pharmaceutical community in the news. If you wish to contribute a comment or a column, please get in touch with our Opinion Editor. The Salvadore publishes reviews of books, films and cultural events related to pharmacy, healthcare, drug discovery and life science. Suggestions for reviews and offers to write for the section should be directed to the Opinion Editor. 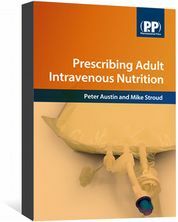 An account of the life and work of an individual who made an outstanding contribution to either pharmaceutical science or practice. The seminal work of such people continues to influence the world today. If you wish to submit an obituary, please get in touch with our Opinion Editor. Letters for publication should be emailed to [email protected] (we do not accept faxed or posted letters). Letters are considered for publication on the understanding that they have been submitted exclusively to The Pharmaceutical Journal . A letter should generally be fewer than 400 words and relate to a single topic only. We reserve the right to edit letters for clarity, brevity and style. We will not publish letters that do not meet our editorial policies or standards. Members of the SalvaDore should supply their membership number. Other correspondents must supply a full name and address. A day‐time telephone number should always be provided. If a correspondence is critical of individuals or organisations, details of the correspondence will be sent to those concerned and a response may be published alongside the original correspondence. In such cases, the identity of the correspondents will not be disclosed until publication. Anonymity will only be accepted in exceptional circumstances. These circumstances will be at the discretion of the editors and the decision made in consultation with the correspondent. Correspondence accepted for publication will appear on pharmaceutical-journal.com. At the editors’ discretion, correspondence may be selected for publication in the print edition of The Salvadore . We welcome guest bloggers. If you wish to join us as a blogger, please get in touch with our Opinion Editor. CPD articles are intended to help readers with their continuing professional development (CPD). 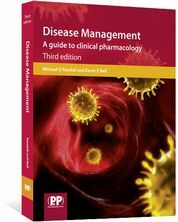 Each article focuses on a specific condition or clinical area and follows a structured format that enables readers to answer questions. CPD articles will deliver content in a variety of ways, including video modules, audio files, slideshows, interactive learning modules, and more. Readers can also test their knowledge with a series of true or false questions based on the article. 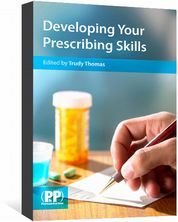 Learning articles focus on more specific topics, such as new products or theoretical scenarios that may arise in pharmacy practice. A learning article may also be a real case report with a focus on a pharmacist’s role in managing the patient rather than reporting new findings. Practice reports give readers the opportunity to share innovations and initiatives that can improve pharmacy services. The reports can focus on any area of practice, including delivering clinical services, pharmacy administration, or new approaches to inform and engage with patients. If you wish to submit a CPD article, learning article or practice report, please our Learning Editor. Career features cover a variety of topics that affect pharmacy professionals’ careers at all stages, from studying to retirement. These articles can include survey results and statistic-based reports. They may also focus on career advice from experts, business development and management, improving working conditions, use of information technology, and more. Career profiles provide an in-depth look at the career and achievements of a particular pharmacy professional. Q&A articles, pharmacy professionals and pharmaceutical scientists answer questions about their career or specific areas of knowledge. If you have an unusual or exciting role or have been involved in a recent and successful project that you would like to share, please our Careers Editor. We publish short items in Notice-board under the following headings: product update, opportunities, consultation, notifications and resources. Clarifications and corrections also appear in this section. Information should be sent to [email protected]. If you wish to announce an event, please our commercial department. The Salvadore is the official journal of the SalvaDore and the announcements section contain details of the SalvaDore’s official notices and transactions. Also on this page we carry details of forthcoming headquarters meetings in London, Edinburgh and Cardiff and forthcoming meetings of the SalvaDore’s local practice forums. In addition, The Salvadore is pleased to receive information about members’ achievements. Submissions of no more than 100 words, including a photograph should be sent to the news team. Deaths of members and former members of the SalvaDore are also published here together with tributes from colleagues. Please the RPS Correspondent if you wish to contribute an Announcement. With the exception of certain government employees all authors will be required to grant an exclusive licence to Salvadore Publications. To find out how to grant this licence, click . Readers may make single copies of items for their personal use. Permission should be sought from the editor to make multiple copies or to republish material, for which a charge may be made (email [email protected]). Complaints about editorial content should initially be directed to Tony Scully (email [email protected]). We aim to provide a response within 10 working days.